It was a stern night landscape. The sound of the freezing of snow over the land seemed to roar deep into the earth. Over the weekend of January 14th and 15th, Japan experienced a snow storm. Once you get south of Sapporo on Hokkaido Island and Niigata, snow is kind of rare in Japan, you rarely see snow as far as south as Tokyo, Nagoya or Osaka, Kobe and Kyoto in the Kansai region. However, it definitely snowed in Kansai this weekend. I have mixed feelings about snow. As a British boy who grew up with his father reading Charles Dickens’ ‘A Christmas Carol’ to me as a child, I love the romance of snow in winter. And one thing I love about Japan is that winter, and specifically Christmas Eve, is a time for lovers, it is genuinely the most romantic time of the year in Japan. 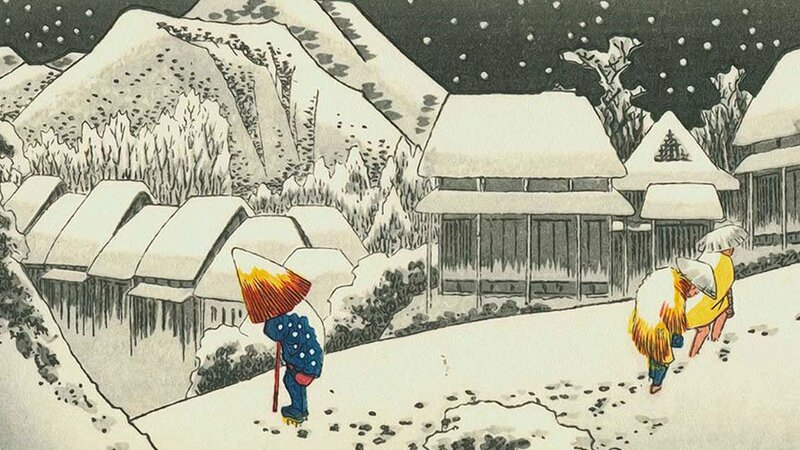 However, whilst I love the romance of the ‘snow country’ – and I live very near Mount Rokko in Kobe which must look glorious when snowcapped – as a disabled person, I dread the possibility of snow in Japan. A snow storm is rare in Japan outside of the northern areas like Hokkaido Island and Niigata that I mentioned; and local governments are really not expecting snow storms. To give you an idea of how rare snow is, I have friends who have children who are under ten years old – but in their late single digits – who tell me this is the first time their children have ever seen snow. The reason for my angst is this: since Japan has snow storms so infrequently, local city governments rarely make allowances in their budgets to grit the streets to prevent snow settling. You can’t blame them for making such a decision, they really don’t expect a big snow storm to hit south of Niigata, but if it does hit, it is very difficult for a disabled person like myself – I use a walking stick – to go to outside, it is just too slippery when snowy. Luckily for me the streets near where I live in Kobe were cleared of snow on the 15th. I have lived in Osaka and Tokyo and they never seemed to clear the streets when it snowed, and snow makes it impossible for me to walk – but despite a good amount of snow the streets were quite clear here in Kobe. So I have decided to not be such a Scrooge, and enjoy the snow country that is Japan the best I can!